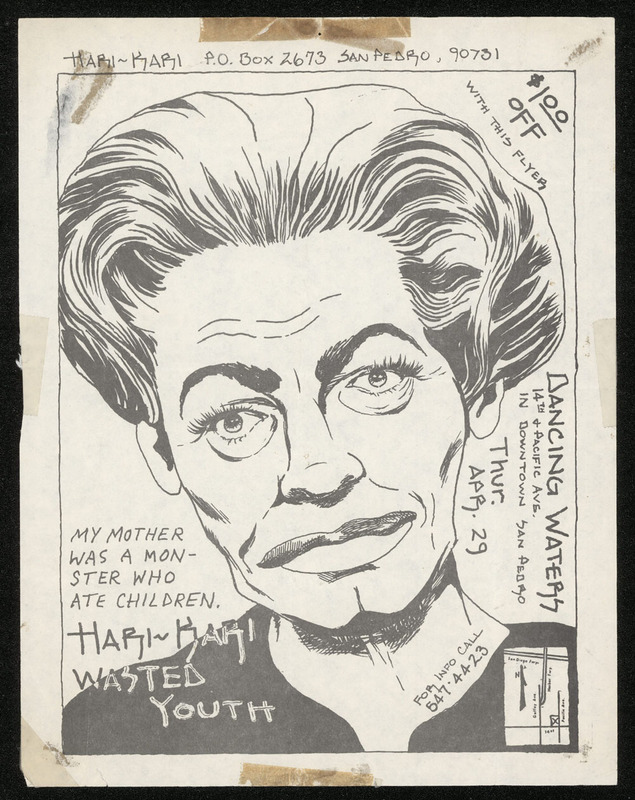 SPECIAL NOTE FOR PETTIBON ENTHUSIASTS: The combination of unmistakable art and the god-like power of Black Flag ensured that Pettibon's work have been reproduced more than any other early punk fliers. Tough-to-distinguish repros dating back three decades are not uncommon. Caveat emptor especially on eBay! Unless I'm 100% sure a flier is original (based on provenance and comparison with known originals), I won't add it to my collection, and I certainly won't sell it. This guarantee and scrutiny is part of what you're paying for.